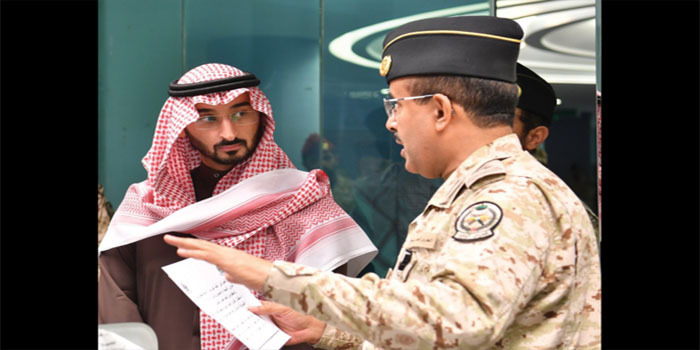 Saudi Arabia’s National Guard Minister Prince Abdullah bin Bandar bin Abdul Aziz on Thursday visited the National Guard command center at the ministry. Prince Abdullah, who listened in on a briefing organized by Abdullah Al-Tuwaijri, planning director, was given a tour by officers and the heads of numerous military bodies at the command center. Al-Tuwaijri discussed the role played by officers at the center in managing combat and security operations, ensuring effective liaison with all military sectors during crises and disasters and exercising effective command and control of National Guard operations. The minister then conducted a video conference with Brig. Gen. Awad Al-Amiri, the commander in charge of the National Guard forces at the southern border. Prince Abdullah praised the high morale among troops in the area, as well as their efforts in helping military forces ensure border safety.